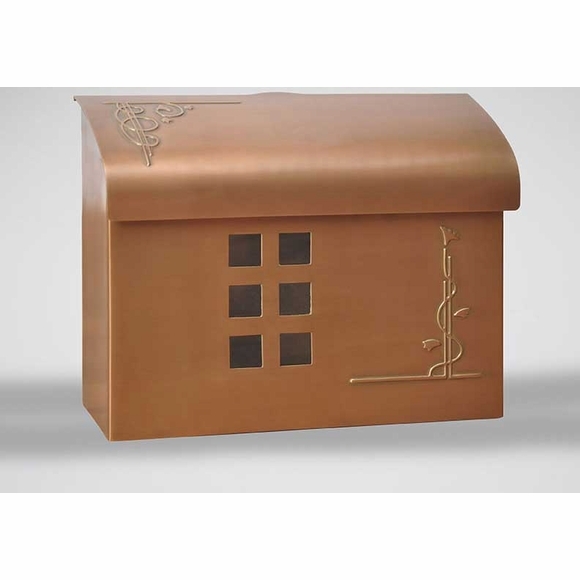 Fuoriserie E7 Mailbox handcrafted in solid brass and designed in the best tradition of the Arts & Crafts movement. Ecco 7 wall mount mailbox features a wide horizontal lid and clear acrylic see-through openings in the front. Delicate ornaments are embossed on the front panel and lid of this decorative mailbox. 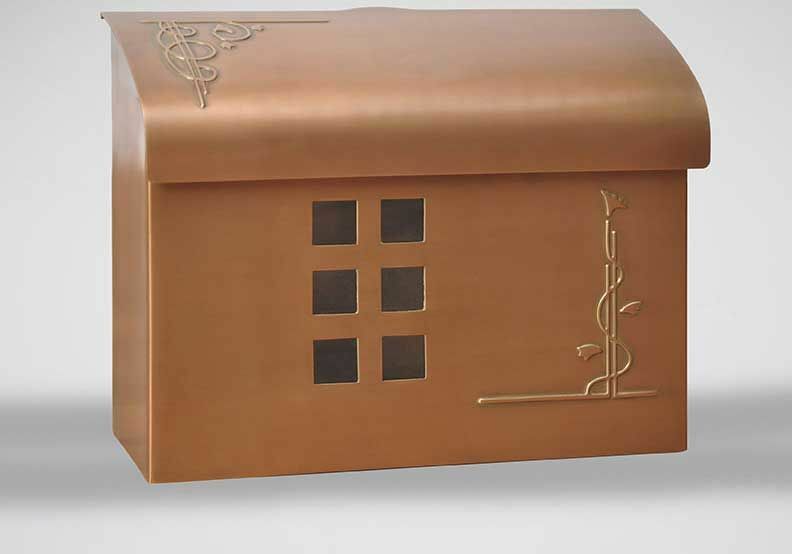 Dimensions: 14.5"W x 5"D x 11"H. Metal mailbox available in six plated finishes: antique copper, copper, satin brass, bronze, black pewter, and satin nickel. Also available: architectural numerals to match your Ecco E7 mailbox (see Related Products). I am building a Craftsman bungalow and this mailbox could not be more perfect for the house. It arrived well packed, on time and was easily installed. Delivery was fast, product was as expected. Looks really good on my house.